Australians break a lot of smartphones. Five hundred thousand a year, according to a survey by Finder. 1,370 devices every day being dropped, thrown, stood on, sat on, bathed and otherwise just treated poorly. 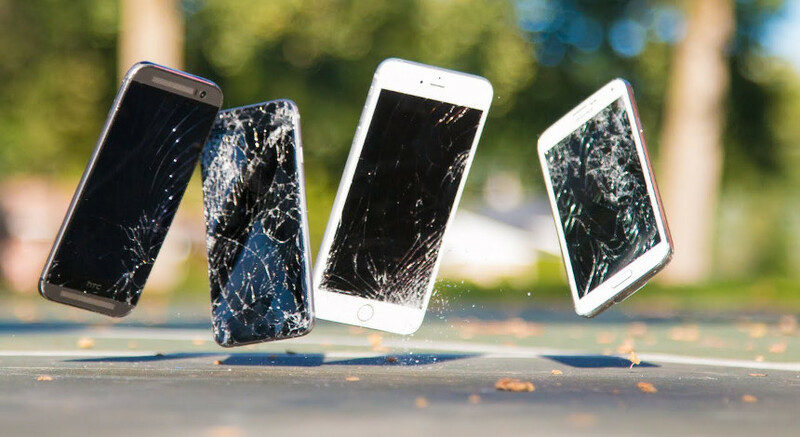 Millennials seem to be the ‘biggest breaker’ of smartphones, with 26% of all breakages attributed to the generation, 3 times the rate of Baby Boomers. 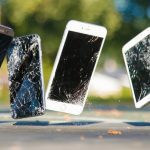 10% of all Australians have broken at least one smart device in the last five years, 6% losing one in the same time period. It’s no surprise, with many of us knowing how easy it is to drop their smartphone. And since some of them are such beautiful devices, we don’t want to hide them inside a protective case. But it’s proving costly, with an average replacement or repair figuring around the $300 mark, it all adds up to over $755 million. That’s more than 6 plebiscites! So how do we counter these costly mistakes? Insurance: There’s a wealth of insurance options to cover smartphones. ‘Self-insurance’ is the idea that you simply stash some money away yourself to fund repairs and replacements. Some home insurance policies may cover your devices both at home and while you’re out and about, the value depending on your excess of course. Some carriers offer insurance along with their plans, but check exactly what’s covered in those respects. And for those with Apple devices, AppleCare can provide some level of protection. Samsung have their version of it as well. Protection: A case may seem like an unnecessary and costly extra expense on top of the device itself, but for those top of the line smartphones that are above the $1000 mark, a $100 case is a small investment. There’s a wide range of them, so shop around but we’d avoid the really cheap ebay ones especially in warmer climates. If you have a broken screen, watch out who you get to repair it. Smartphones are seemingly repaired by every man and his dog, but who are they and what parts are they using? There’s a very wide variance in product quality when it comes to aftermarket repairs. A lot of what comes out of china are simply cheap copies, and the results show it; with some falling apart within 3 months in a typical North Queensland summer. Aftermarket: For an iPhone 7, these are around the $70 mark each and a repairer may charge from $50 to $100 to install it. These are not good screens. While the overseas businessman is telling your repairer they are exactly 1:1 copies of the genuine parts, in reality they are a cheaper quality plastic, generally thinner glass (so it’ll break again quicker next time), the adhesive is poorer and there’s less of it (so the screen may just fall apart at the first sign of sunlight) and the touch screen may just not respond half the time. Normal Quality: Again using an iPhone 7, these are around $130 plus labour. In our experience these are significantly better than the ‘aftermarket’ cheapie but can still be subject to random failures. Maybe the edges don’t quite line up once fitted and so it’s just not quite right. They’re like buying a pair of Nike’s from Thailand, in most cases people won’t even know, but one day they might just fall apart for no explainable reason. High Quality: $160 for the iPhone 7, plus labour to fit. This is what a lot, and we mean a lot, of repairers are claiming to be “OEM” or “Genuine” screens because they very well may be manufactured in the same factory as the Apple device itself. In fact, it may even be a factory second, with the Apple logo removed so it can be flogged off on the grey market. It’s not genuine, because Apple rejected it for whatever reason. Having said that, they are actually decent parts with a very low return rate and decent durability in most conditions. You can see here there’s a wide variance in product quality and therefore price when it comes to smartphone parts, but one thing is for absolute certain; if you want genuine, contact the manufacturer. It’s a little like car parts, while you know the genuine part will be perfect in every way, you’ll pay for it. But you can save money with the non-genuine parts and the availability or turnaround can be a lot faster as well. If you need a repair on your smartphone, or assistance with anything else in your technological world, get in touch. nbIT Townsville have a solution. ← Keep your PC up to date!